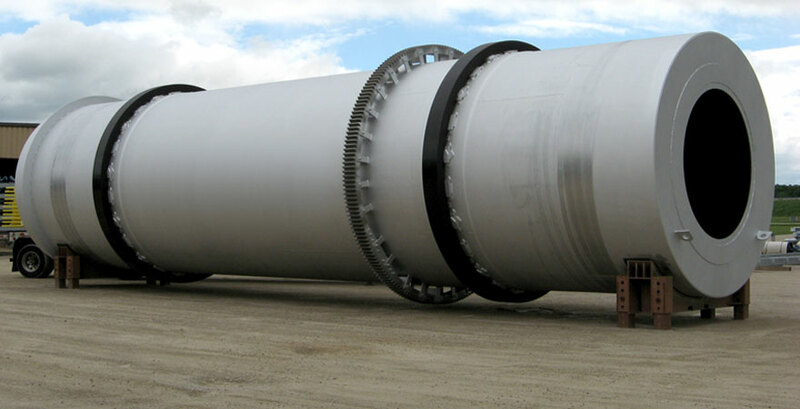 This last skid is able to reach a total flow rate of 170 m3/h of LNG to load the semi-trailers that start their virtual pipeline journey from the liquefaction plant. Vanzetti Engineering is able to supply all the cryogenic pumping equipment downstream the liquefaction plants, on skid and complete of all the accessories, sensors and instruments according to the process P&ID requirements. 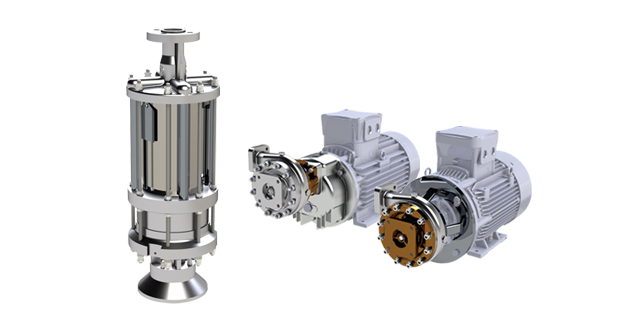 In order to cover these needs, including the ship bunkering ones, Vanzetti Engineering has developed a larger centrifugal submerged pump model, the ARTIKA 300. Available in 1 or 2 stages configuration, such pump can reach up to 250 m3/h of flow rate, thus completing the range of submerged pumps for LNG. 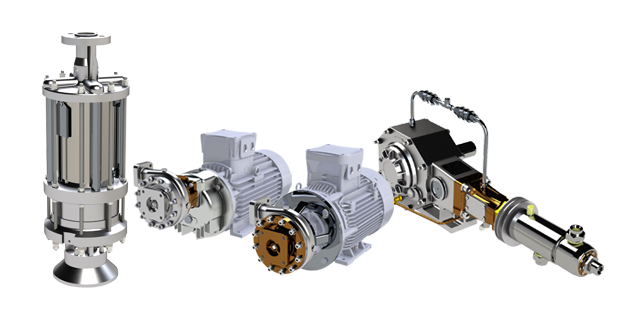 The built-in features of such pumps include the seal-less concept, with motor bearings permanently lubricated by LNG, which allow a permanent cold condition for quick and efficient start and stop operations and extremely low need of service and maintenance. LNG is largely used to transfer natural gas to marketplaces, where it is normally regasified in plants named LNG terminals. The regasification is a process where liquefied natural gas is heated and consequently returned into its gaseous state, by special heat exchangers. Finally, it is distributed as natural gas through pipelines. LNG can be locally stored in cryogenic tanks and used afterwards for other purposes such as trailers and cargos reloading. 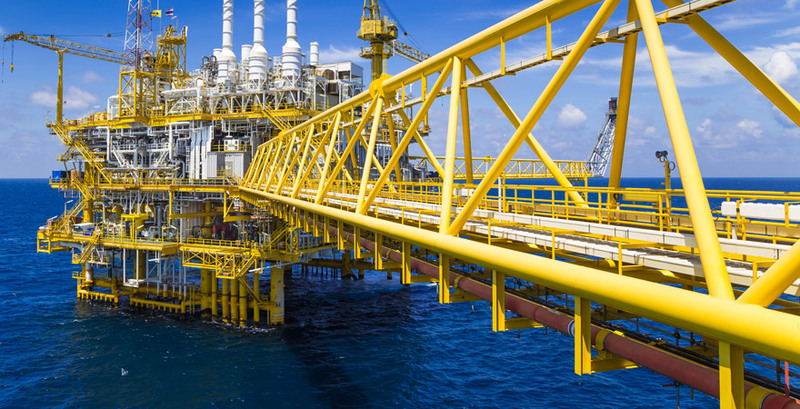 LNG satellite plants are often used to supply natural gas for boilers, furnaces, power generators, and other industrial applications where pipelines are locally not available. In combination with LNG containers, they are able to provide constant supply of clean fuel from LNG terminals. Where on-site power generation is requested, LNG represents an efficient alternative to fuel oil. Power plants ensure clean, safe and cost effective electricity for towns, islands and remote area by using LNG instead of heavy fuels. In agricultural business and greenhouse works, where pipelines or electrical grids are not available, LNG provides a value option to access natural gas. Moreover, Diesel generators can be replaced with gas generators or converted to dual fuel systems that are able to operate with both Diesel and Natural Gas. LNG can be used to tackle energy peak demands when the normal pipelines infrastructure can only meet regular needs but not occasional extra energy requirements, for example due to seasonal variations. These plants are called LNG Peak Shaving Plants, because they are able to deal with these temporary peaks by using LNG as energy source. 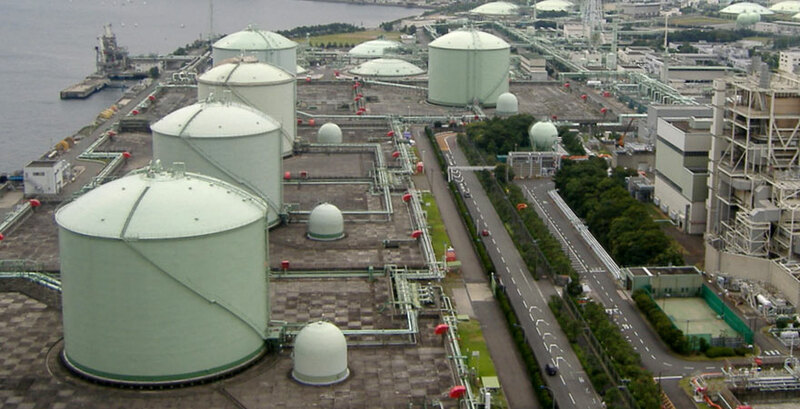 LNG is largely used in various industrial processes such as power generation, dryers, boilers, heat treatments, rotary kilns and furnaces in the production of paper, metal, chemicals, petroleum, stone, clay, glass, clothing and food. LNG provides an ecological, less expensive and safe alternative to LPG, diesel and oil products, offering undeniable economic and environmental benefits. Industrial plants and residential areas may have common needs of both heat and power at the same time but sometimes with limited access to the gas pipeline. Moreover, restrictive emission regulations can impose severe restrictions in the use of oil fuels. In these circumstances, LNG can be the right choice as it is the cleanest fossil fuel available. Small amounts of hydrogen sulphide and moisture. Be cleaned and upgraded to natural gas standards becoming Bio Methane and it can be compressed like natural gas and used to power motor vehicles. 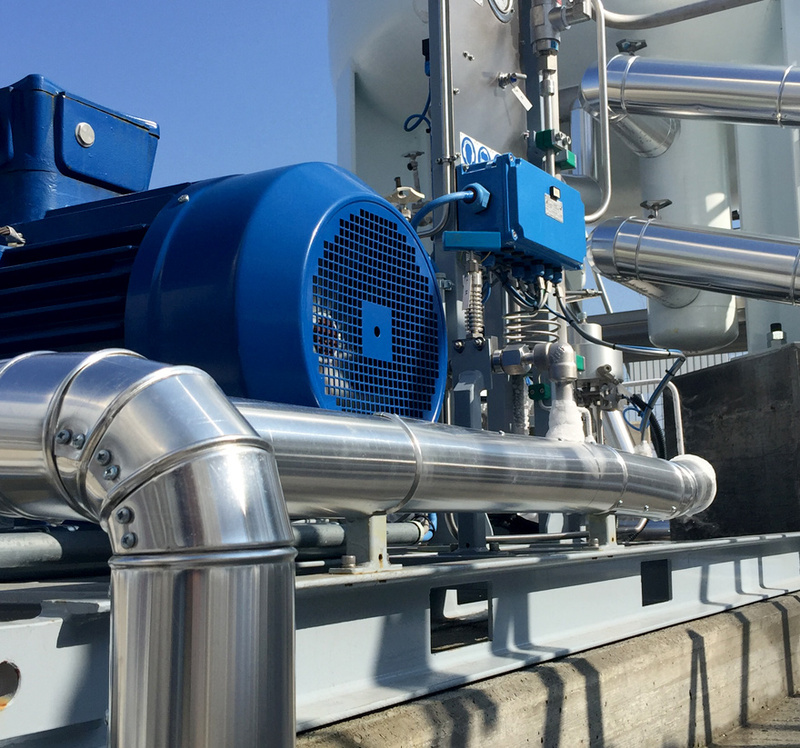 Bio Methane can be finally liquefied, creating a product named Liquefied Biomethane (LBM). 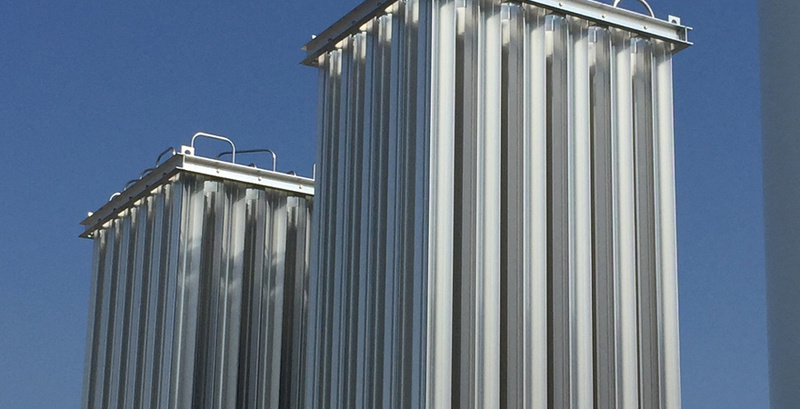 Liquid Biomethane is stored for future use, usually either as liquefied biomethane or compressed biomethane (CBM). LBM can easily transported and dispensed to either LNG vehicles or CNG vehicles. 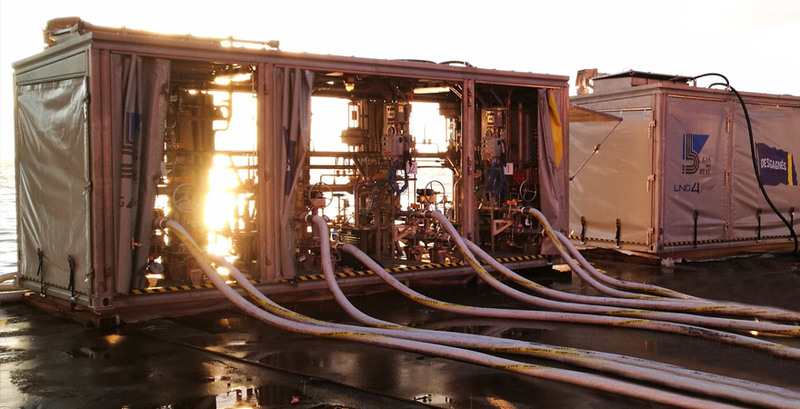 LNG MicroBulk systems have been developed for such applications where natural gas is requested as fuel to power temporary generators for utility services, irrigation systems, oil fields and special events. 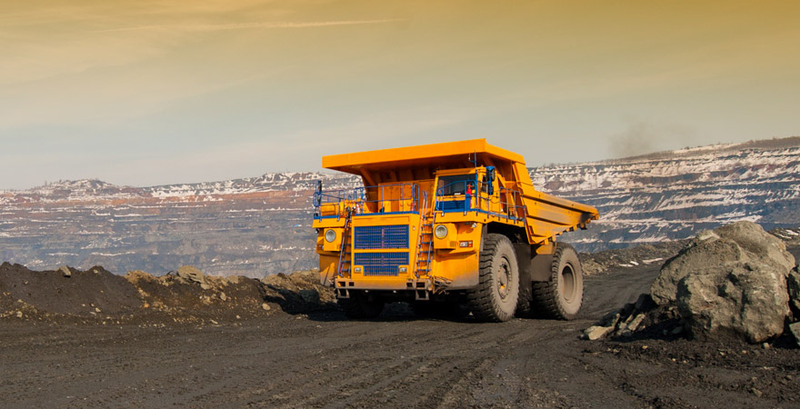 LNG can be successfully used instead of large amount of diesel in mining and heavy-duty vehicles. These trucks are often requested on particular sites for short and repetitive routes. Hence, on site refuelling system based on LNG technology is a welcomed opportunity. It means providing LNG as fuel for ships’ consumption. The advantages of LNG Vessel Bunkering in comparison to fuelling heavy fuel oil, marine diesel fuel and marine gas oil, is the huge reduction in pollutant and environmental impacts and risks of shipping operations, without cost increasing.